Zombicide is one of those board games you just can't get bored with! Check these brain munching lovelies out! Arcadia Quest is one of the most beautiful looking board games out there (lots of fun too)! It was a pleasure doing this DOOM board game set and also brought back some fond memories from way back when! We are having problems receiving emails to the paintedfigs.com domain. It just occurred to me, as someone who almost never buys anything if I have to enter my cc details, that I'm not alone in this. Paypal is now integrated into the store. So that didn't go so well - Google is not pleased that the site went from https to regular http. So, we set up https throughout the whole site, but tested it with another domain. And it worked! 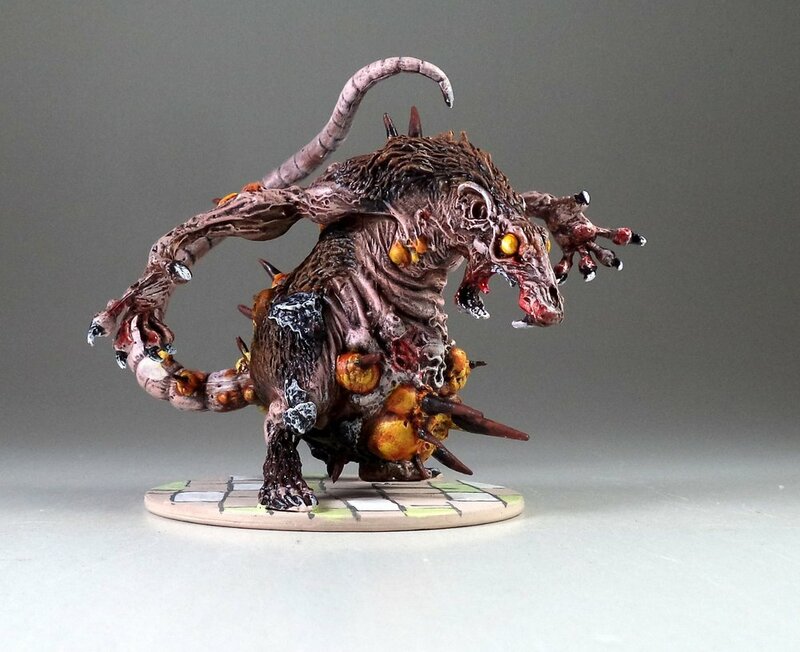 Since Google didn't care much for an all-new site for miniature painting, I figured we may as well stick the new site here, and get some real use out of it. I've collected a bunch of galleries off the old Picacsa archive, from the past 3-4 years. Those will being up here. I'm also moving our stock from PaintedRPGminis over here, too. Might regret not keeping them on their own website, but for now, I think it makes life easier. The Miniature Painting Service does Team Yankee! "You know about WW1 and WW2," I said to the painters. "But what about WW3?" "You mean the War on Terror?" said one bright spark. "Ah, well, I meant these." So this was our first Team Yankee job, and it was quite a large one (the above are just a sampling of the job). The minis wee great, and the assembly information was very user friendly. Most of these minis can be used in any modern warfare game. The helicopters were HUGE! - To improve our Google rank ("Figs" is unfortunately not what people Google when they want "miniature painting." - Squarespace gives us some nice tools to play around with. We're still doing business under Paintedfigs.com, but increasingly this will be our portal.